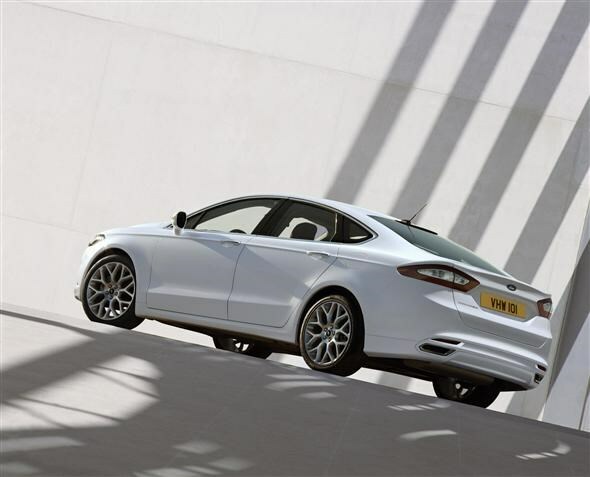 Ford has used the 2012 Detroit Motor Show to unveil the latest version of the Mondeo, which will arrive in the UK in 2013. Named the Fusion in America, this new model will come under the ‘One Ford’ project making it a global car. There’s not much difference to the current Mondeo design, but it gets a sharper front end which will also be seen on the new Focus ST. The manufacturer claims that there have been further improvements made to the already excellent handling. This comes courtesy of specially tuned electric power-assisted steering as well as a new suspension system which the company says is comparable to that of BMW and Audi, some bold claims. Inside the car, the firm claims it offers a sporty, driver-oriented environment. It also gets a higher consoler with added storage. There’s been a bit of moving around with the interior too which has increased the amount of passenger space. There are not many details yet on the UK line-up, but it will come with the company’s 1.6- and 2.0-litre EcoBoost petrol engines that will come with the option of the Powershift automatic gearbox. It’s likely to get similar sized diesel engines for Europe. There’s also the chance of a hybrid model which will be powered by a 2.0-litre petrol engine and can run on electric power up to 62mph. According to Ford, the plug-in hybrid of the car will be the most economical family hatchback in the world. However, like the hybrid there are no confirmed plans to bring these engines to the UK. There’s some added safety kit on offer too. This includes items such as blind spot detection, adaptive cruise control, active park assist and lane-keeping assist. 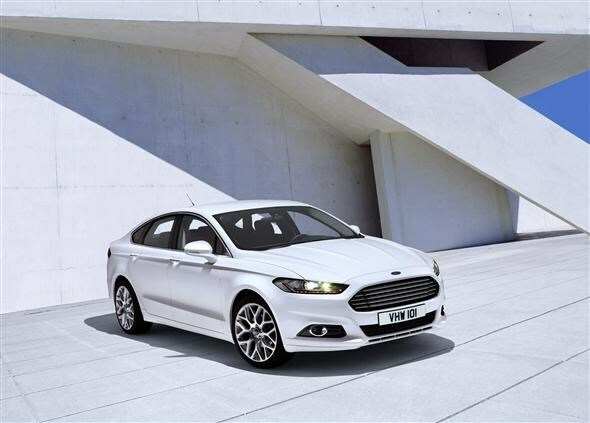 The new Mondeo will arrive in the UK in the first quarter of 2013 with prices expected to start between £18,000 and £19,000.